In addition to the incisions used in arthroscopic procedures, a salt water solution is used to stretch the knee to give the doctor a better view. This procedure is used to diagnose a number of problems. For instance, the procedure can help to diagnose a torn meniscus, ACL or PCL injuries, swelling, misaligned kneecaps, broken cartilage, cysts, and sometimes fractures. 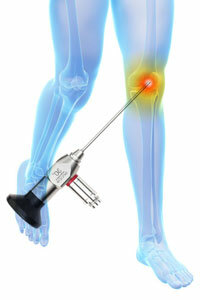 The treatment following the arthroscopy will depend upon the problem discovered.